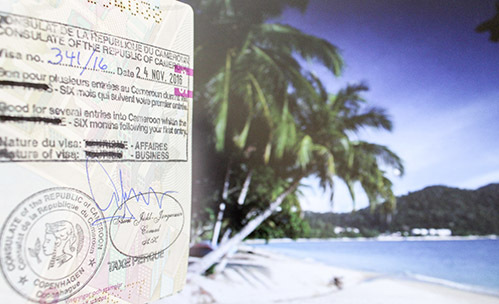 All Danish citizens must obtain a visa to Cameroon prior to entry in the country. we at Alt Rejser are ready to help you process your visa to Cameron. Passport must be valid for min. 6 months after the flight back to your home country. Colored passport photo . You can have your passport photo taken at Alt Rejser (150 kr). You think it is too troublesome? You are welcome to call us for further assistance. You can also visit us in our office and don't forget to bring your pasport with you. We at Alt Rejser is ready to help you. The passport must be valid for min. 6 months after the flight back to your home country. Express processing (same day) is possible on the condition that we must recieve all the documents needed beofre 10:00 o'clock on that day.